Romaneenart Park is a green metropolis within the fast-paced city of Bangkok, Thailand. Dotted with picturesque water features, gardens and leisure equipment the park manages to draw large crowds daily. 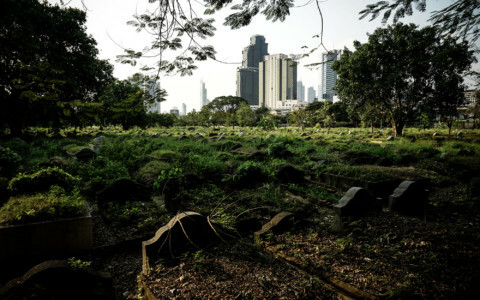 What this park hides in plain sight is strangely macabre, yet equally interesting. 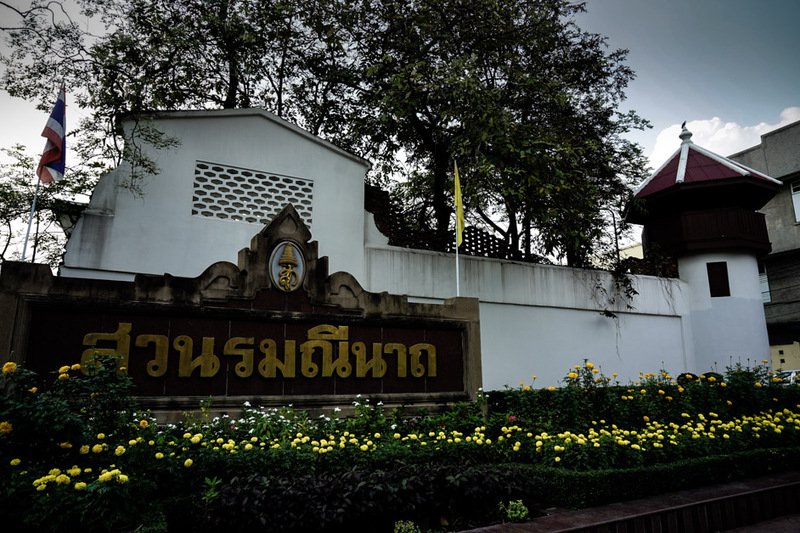 The entrance to a former prison turned public park in Bangkok, Thailand. Romaneenart Park is actually built into and around a former maximum security prison. The prison dates back to the 1890s and held many hardened criminals during its time. After the prison’s closure, it sat abandoned for some time, until being converted and re-opened as a public park in 1992, commemorating the Queen’s 60th birthday. A former prison watchtower surrounded by a crumbled wall, now overlooking Romaneenart Park. 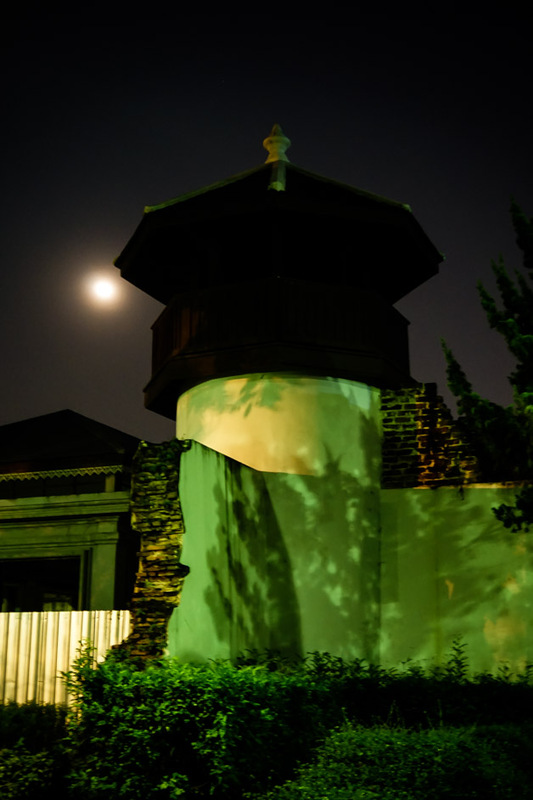 Knowing this quirk about the park may help you to make sense of why this area is considered to be one of the most haunted places in Bangkok, Thailand. Inside the former prison cellblock that now sits inside Romaneenart Park. Many claim it to be haunted. Romaneenart Park is surrounded by the former protective wall of a prison. Within and along that wall are many structures that have survived through the prison’s closure. There are watch towers, cells and even a full prison cell block that remain. Looking down the cellblock in Romaneenart Park of Bangkok, Thailand. 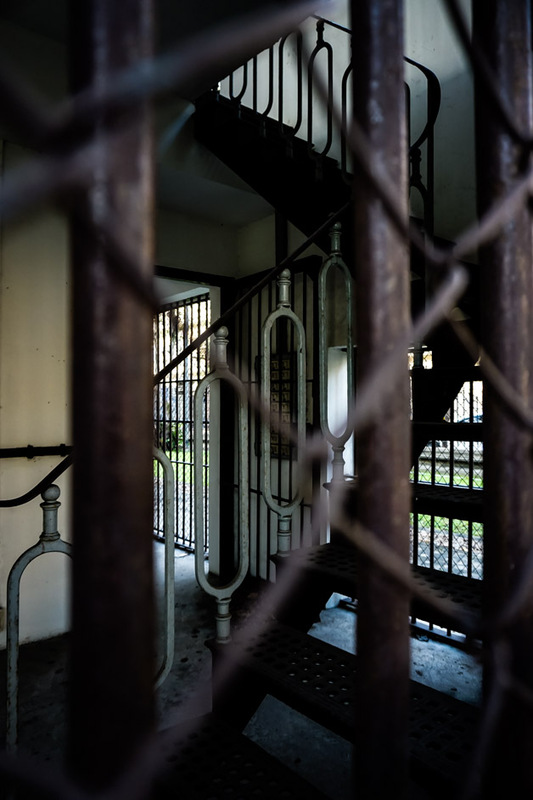 Given the violent nature of many of the prisoners held at this facility, as well as unsavory living conditions, this former prison was not a pleasurable place to be. Torture and poor conditions lead to the deaths of many within the prison. Some people believe that there are some prisoners who never left the facility and still remain at the prison to haunt it to this day. Stuck inside a former prison cell that many people believe is haunted. 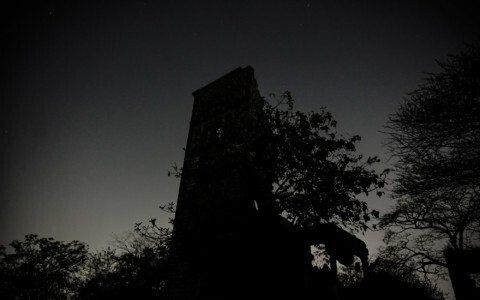 After Romaneenart Park was opened along with some of the former prison areas, claims of ghostly sightings began to circulate. 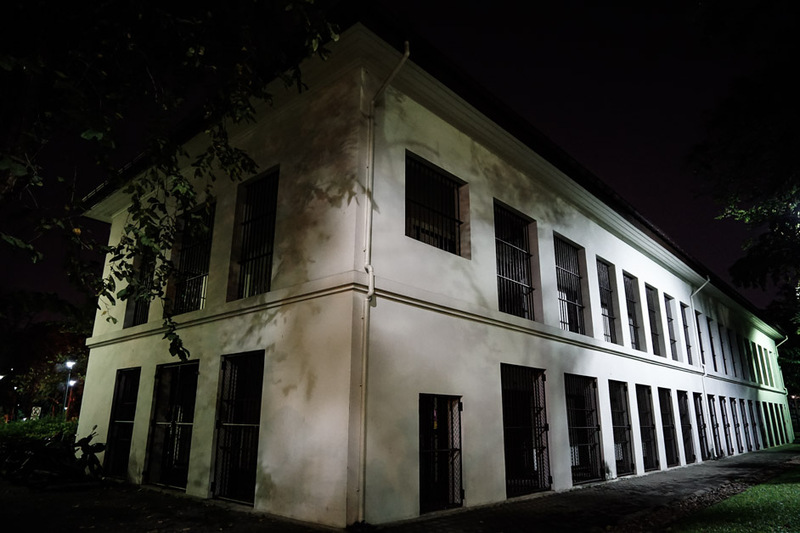 Some people had supposedly witnessed apparitions walking throughout the park, as well as inside the locked up prison cell block. Gateway to a former Prison in Bangkok, Thailand. Romaneenart Park is a unique take on your typical city park. It blends history with a serene, peaceful environment and is something anyone in the area could enjoy. 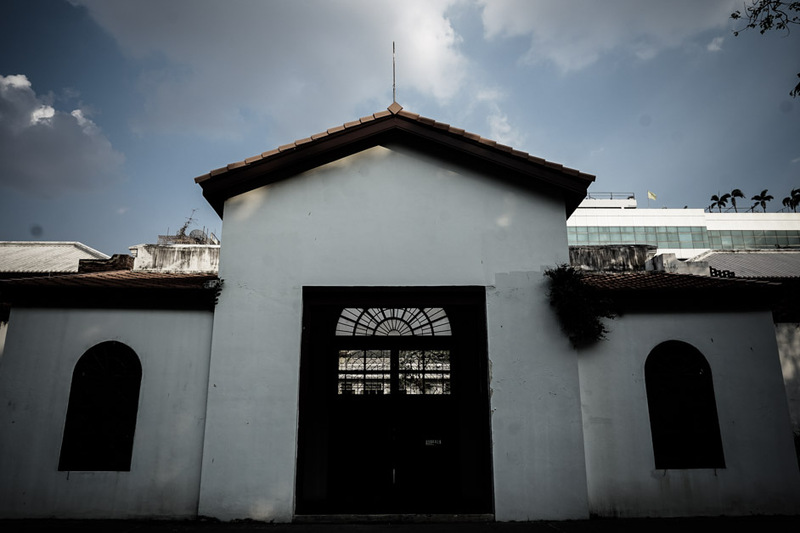 A museum focussed on Thai corrections used to exist at this site. When I visited (February 2019) it had closed down for renovations. I am unsure if it is set to reopen back up. Even without the additional information, this museum would provide, the prison is a fascinating place to explore. Walking the perimeter of a park that was once a high-security prison. 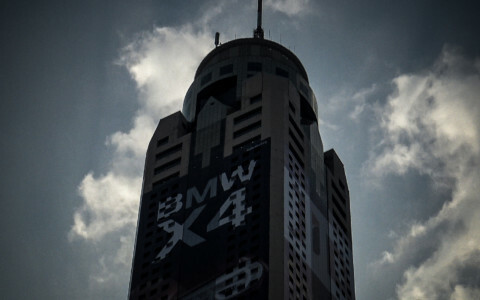 If you enjoyed this article and are looking for other haunted places in Bangkok to look at, check out the Baiyoke Sky Hotel.